'Dentistry with a difference' is our mission at Stalybridge Dental Care. 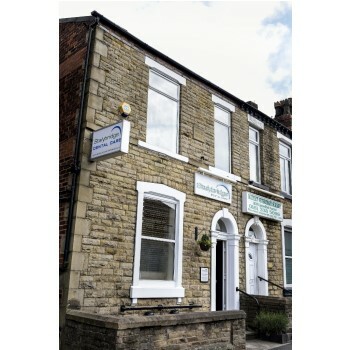 Dentists Greg Foster and Andrew Gawthorpe, both former students of the renowned dental school at Sheffield University, offer a warm welcome to anyone from Tameside and the surrounding area looking for a dentist. We can offer the full range of treatments, including all cosmetic procedures. Both Greg and Andrew have more than 24 years' practical experience as dentists. They have also continued their professional development alongside their careers, and have both recently completed a Diploma in Advanced General Dental Practice at Birmingham University. This ensures that the treatments offered are continually updated and are the latest and highest quality available. Good communication with our patients is very important to us and our dentists will always take time to explain proposed treatments and alternatives with our patients, and welcome any questions they have about this or any other aspect of the practice. The practice is approved under the Denplan payment scheme, the biggest of its type, which allows treatment to be paid for in easy monthly instalments, or patients are welcome to 'pay as they go'. Aesthetic and cosmetic work is a major part of the practice's work. More people are seeing these types of procedures as a lifestyle choice, and our knowledge of the latest techniques means we can offer objective advice about the suitability of particular procedures. Our dentists and the rest of our Team will always have the time to discuss your treatment fully, answer your questions, and ensure that you are put as much at ease as possible. If you still need convincing of the difference Stalybridge Dental Care can make to your teeth, call in and arrange a consultation. It's a first step to a brighter smile!